TrainLab, a startup toy manufacturer, designs and makes their own toy parts using desktop 3D printers. Like other entrepreneurs, they found a niche where 3D printing made sense and started a business around it. 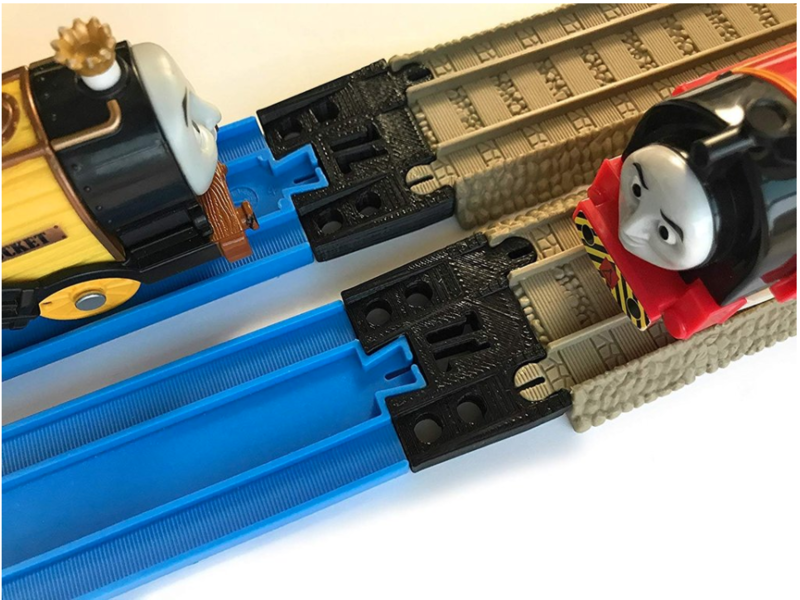 They started making train track adapters and connectors for kids, selling them on Ebay, Amazon, Etsy and on their own online store. 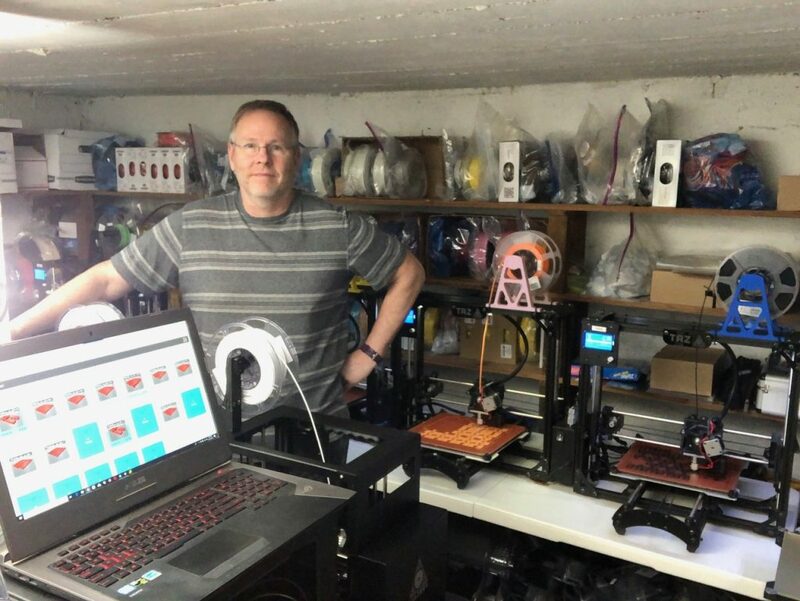 In this post, Scot Refsland, founder of Trainlab, tells us about how they leverage AstroPrint software to maximize their 3D printer fleet productivity and scale their business. What problem were you having before you discovered Astroprint? Managing the hyper growth and demand of our products. At first we started with 3 printers and 3 computers, then went to 7+7 in 30 days. It was immediately apparent that was not a scalable model. We love Lulzbot machines, but we found Cura Octoprint to be somewhat cumbersome and created an additional tech job for us. We’re a very small bootstraped startup (as in 2-3 people), so we needed computing to scale for us, not staff. What made this problem so frustrating? How was it affecting your business? When the pressure’s on to keep up with Amazon, Ebay and Etsy delivery requirements, it’s “Ship with awesome customer service or die”. The stress is very high as you cannot afford downtime or inefficient substandard software, equipment and processes. 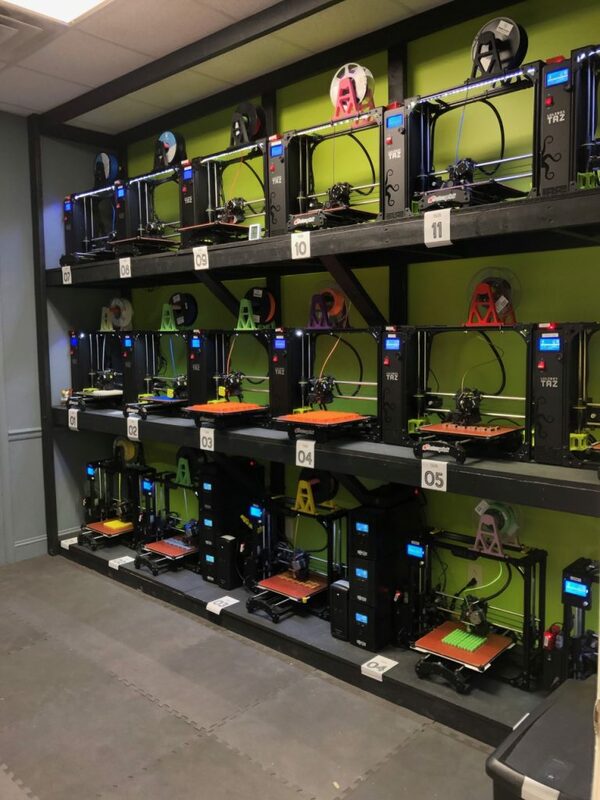 On top of the exponential demand, we were expanding our product offerings, so every failed print or printer error became catastrophic very quickly. We couldn’t continue fiddling with every single printer, every single print, and also manage the quickly growing catalog of parts and versions of parts. That’s why when we tested AstroPrint for the first time, it immediately became our core 3D printing tool. Everything became quickly organized and we managed our printers in bulk. We could quickly deploy parts, filament settings across all printers. 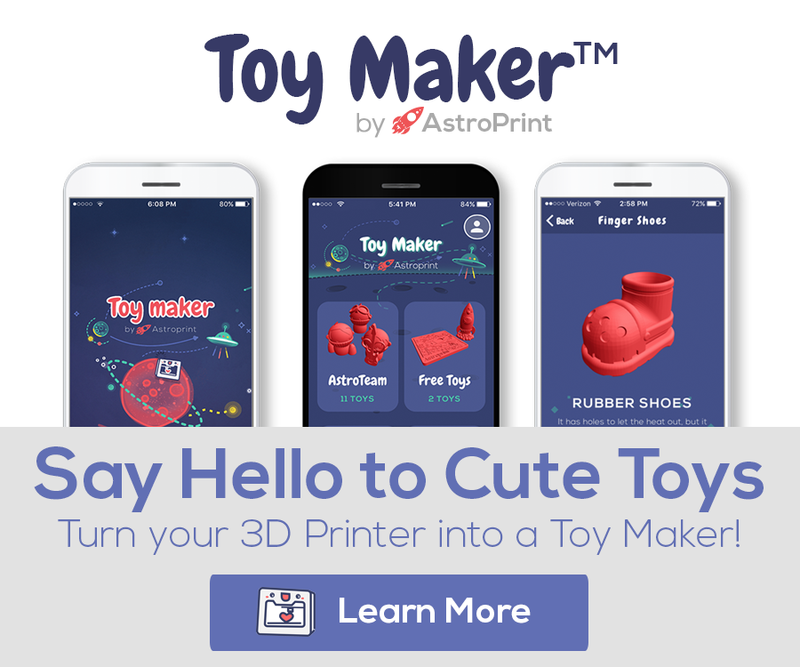 What was different about AstroPrint? AstroPrint is the true definition of Cloud printing and leverages all the great things that Cloud tools/apps should be. Our anxiety immediately lowered when we could easily manage our parts catalog from anywhere, and the logic for managing filaments, printers and settings is the best we’ve ever seen. 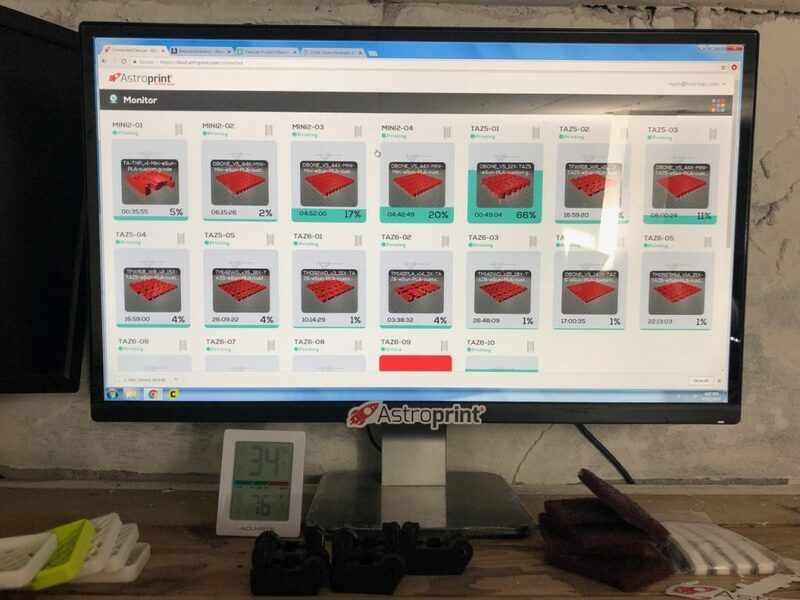 One particular thing that we highly benefited from was the base of print settings (cloud slicing, printer settings, filament settings) that AstroPrint offered. Even today, we’ve only tweaked some of the default settings that come standard because it’s that dialed in. When our holiday season demand skyrocketed, we went from 7 printers to 20 printers within 60 days. Adding printers into the AstroPrint system was super easy and was truly a Plug-n-Play situation. We could have a new printer out of the box and in production within 30 minutes. It allowed us to scale via cloud computing and we still run everything on 3 people. There is also one other feature we heavily rely upon with AstroPrint and that’s its super customer service focus. The support that we get from AstroPrint is top notch and exceeds anything we’ve experienced with other software/solutions. AstroPrint and its team are in many ways part of our own staff that keeps our business super focused and expanding. How do things look for your business now that this is no longer a problem? Oh it’s all mansions and swimming pools now LOL. Seriously, we’ve gone from a startup in our laundry room to new offices in one year, and all in bootstrap (low cost, no venture capital, expansion paid by generated revenue) mode thanks to the leverage AstroPrint enabled us to achieve. We’re now expanding into Canada, Mexico, Europe and Japan and we’re counting on AstroPrint to continue expanding with us. Many small businesses like TrainLab use AstroPrint because it makes it super simple to manage an entire farm of 3D Printers. 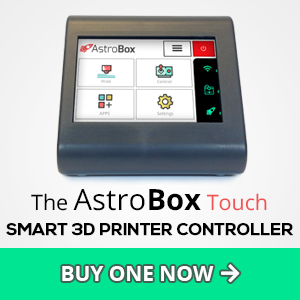 Lear more about how AstroPrint can help you operate an efficient 3D printer farm 24/7 and fulfill orders with minimal friction.